Looking for adventure during the winter months? Come to Holland where you'll find outdoor activities that will invigorate you, like cross-country skiing and snowshoeing through the Lake Michigan dunes. Love to SUP? 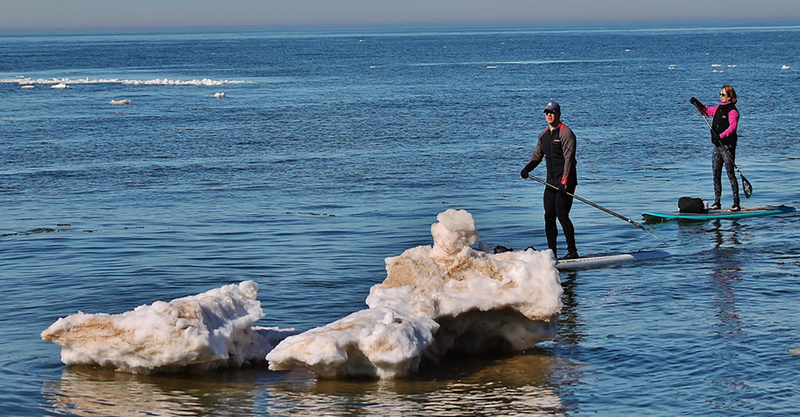 Hit up Lake Michigan with your board during any season of the year! Rekindle your childhood by sledding down the hillside of a historic farm. Hit the ice for a game of hockey or just a spin around the rink. See the articles below for specifics on where to best enjoy the winter season. No snow today? No problem! Many of these parks are open for hiking as well. And with the leaves off the trees, the views can be breathtaking. For area ski conditions and updates, contact Ottawa County Parks at 616.738.9531.